With more than 20 offices and representatives in Bulgaria and around the world, you will find our exceptional selection of the most prestigious apartments, houses, villas, offices, stores and building plots in the country. Are you looking for a property abroad? We are the first Bulgarian agency that offers high quality and luxurious properties abroad, as well as a professional service on a local level from our partner offices in Greece, Austria, Germany, Spain, Italy, Dubai and many others. We provide high-level service to our clients, inspired by the best practices of the finest world companies in the premium real estate sphere. We offer all services needed in one place. Our clients are highly educated people, celebrities, respected public figures, and business leaders who are looking for prestigious properties or offer their own properties for sale or rent through our network. Our clients respect their own time and look forward to the best possible service on the market. Throughout our years of expertise, our consultants have gained significant professional experience. The company has built an effective platform for servicing clients at all stages of a sale. We have completed a number of successful sale deals. Our consultant and manager team works hard to maintain the biggest portfolio of luxurious properties in Bulgaria and abroad. Our main goal is to complete the best possible deal for every client and partner who has chosen our agency. 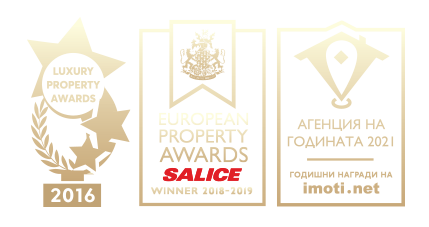 Today LUXIMMO is among the most respected property agencies in Bulgaria. We will help you find the luxury, quality and prestige you’re looking for!